This belt blank has a curved oval plate front, which is designed for you to glue your own carved, embossed or painted leather onto. 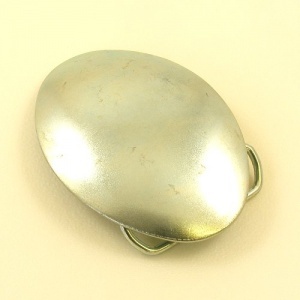 It's made to fit a strap width of 38mm (1 1/2") and the oval plate measures 83mm x 58mm. 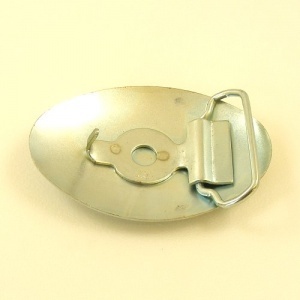 This buckle is easily fitted without the need for a crew hole / oblong hole in the buckle end of your belt.